3 Ayco Farms Red Bell Peppers. 4 tablespoons sesame seed oil. 1 pound boneless, skinless chicken breasts, trimmed of fat. 1 tablespoon freshly grated lemon zest. 1 1/4-ounce can of reduced-sodium chicken broth. Cut 1 pound of boneless chicken into 1-by-2-inch strips; season with salt and pepper and set aside. Heat 1 teaspoon sesame seed oil in a large nonstick skillet over medium-high heat. 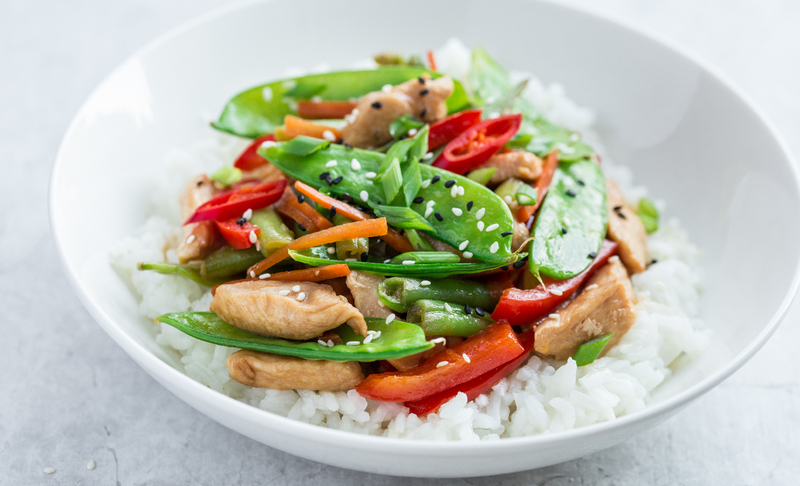 Add 12oz of Ayco Farms snow peas and stir-fry until bright green, 2 to 3 minutes. Transfer to a large bowl. Add the remaining 2 teaspoons of sesame seed oil to the pan and heat on medium-high until shimmering. Add 1 pound of chicken and cook again, stirring, until lightly browned and opaque in the center, 4 to 5 minutes. Transfer the chicken to the bowl containing the peas. Add chicken broth and garlic to the pan; cook until reduced to 1 cup, 6 to 8 minutes. Reduce heat to medium and return the chicken and peas to the pan. Cook until heated through. Enjoy over white rice. 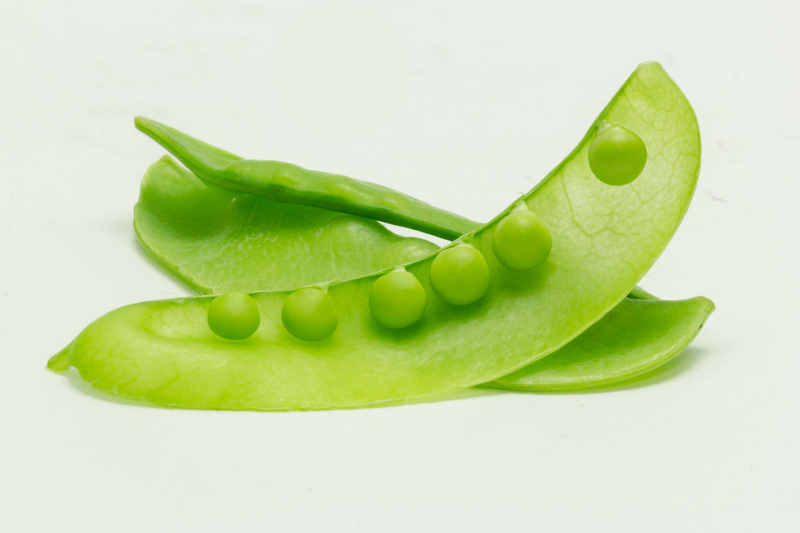 Snow peas are packed with vitamin A, vitamin C, iron, potassium, dietary fiber, magnesium, folic acid, and small levels of healthy fats. These pods are also very low in calories, with slightly over 1 calorie per pod. They also lack cholesterol, making them a filling, yet nutritious dietary component.